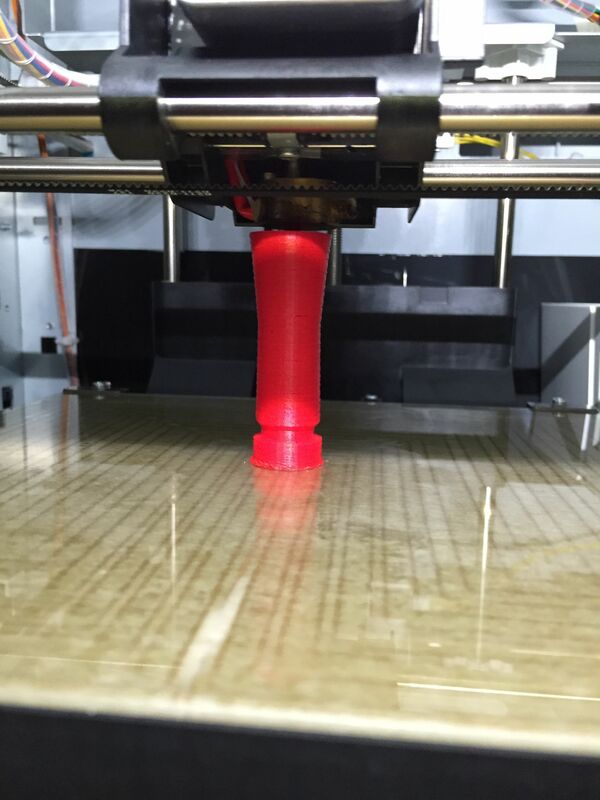 A while back I got an XYZprinting Da Vinci 3D Printer. 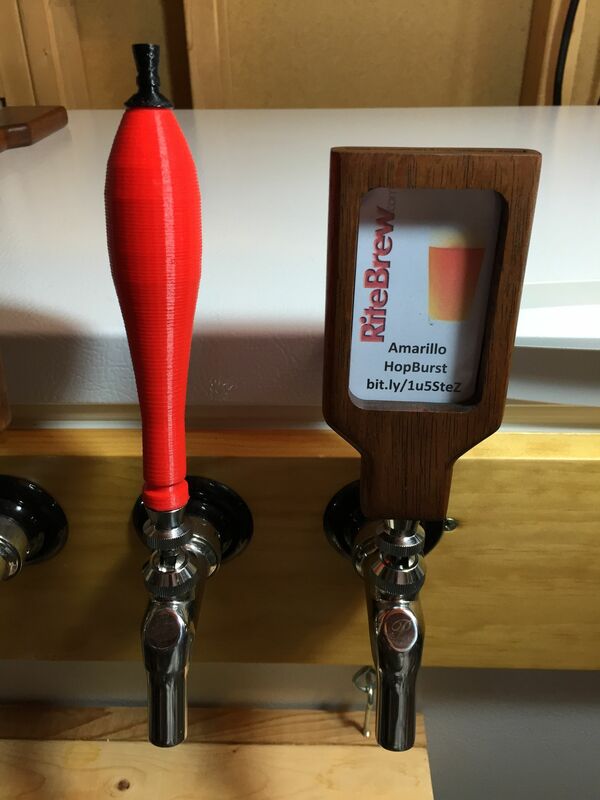 I think 3D Printing has a bunch of possible applications for homebrewing. From tap handles to stir plates and on and on. 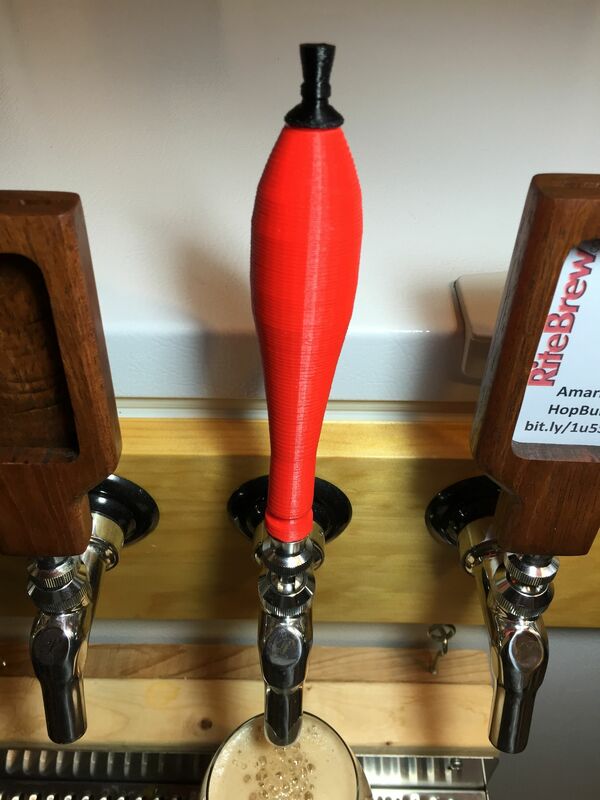 Here’s a look at a 3D printed Pub Style Tap Handle designed by “InfiniTTTy” and available on thingiverse. A link to the STL files and project description can be found below. 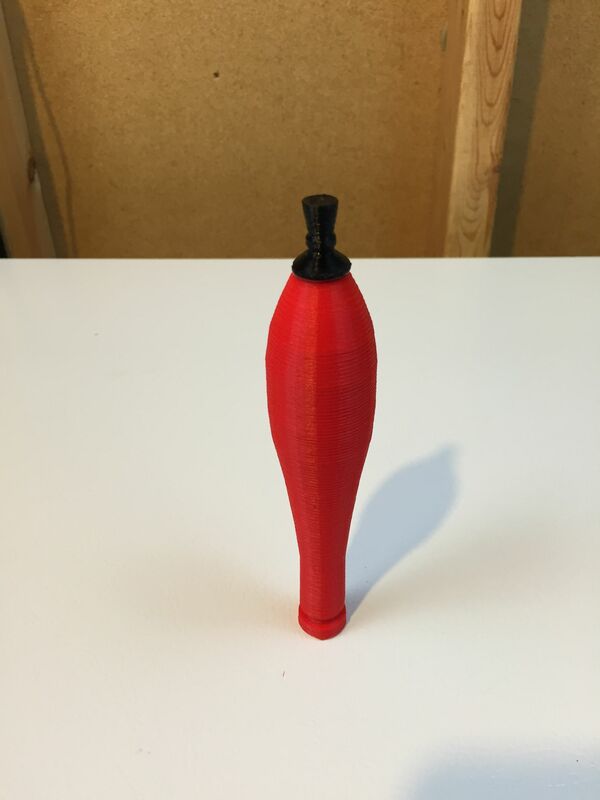 I printed this on my XYZprinting Da Vinci 1.0 3D Printer. Here’s a look toward the beginning of the process. 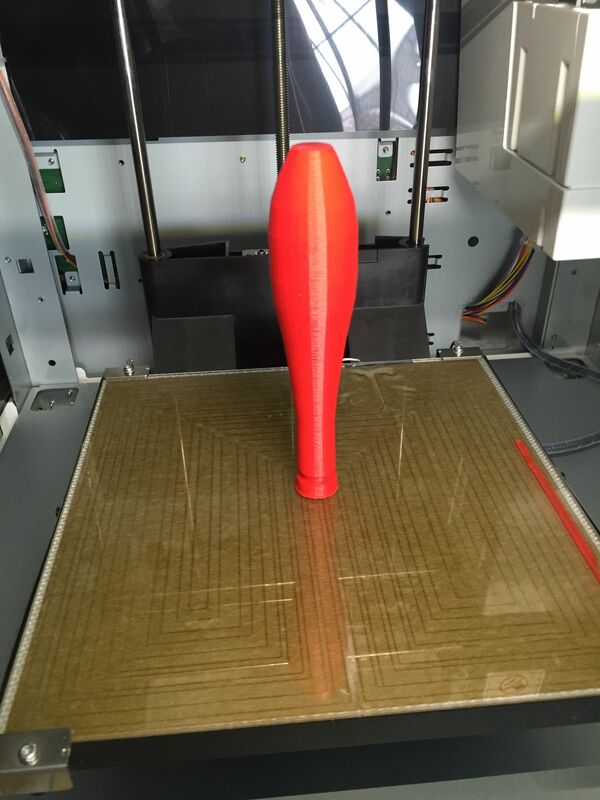 Ta Da… Printed Thing! I printed this on the Da Vinci’s Best Setting. It took about 3 hours. This also gets a decorative cap on the top. You can, of course, print either of these pieces in your choice of colors. The color is based on what color filament you’re using. Finished product. The bottoms on these end up with a little extra material that needs trimmed. I’ve been doing that with a utility knife. The one thing I would change for this build would be… get a sharper utility knife. Mine was too dull. I could have ended up with cleaner lines with a sharper knife. It’s amazing to me that I printed this. Update: Google+ Friend Ray asked about material cost. Great question. I pulled out my AWS-100 Digital Gram Scale – Review – and weighed it up. It came out to 26.34 grams. At the current cost for filament (as of 1-15-15) this figures out to about 1.23 in filament. Installed. Just served an oatmeal stout. This is a nice little tap handle. I did some pulling and bending on it and it held together just fine. One of the commenters on the thingiverse page indicates that they have been using it for two years. 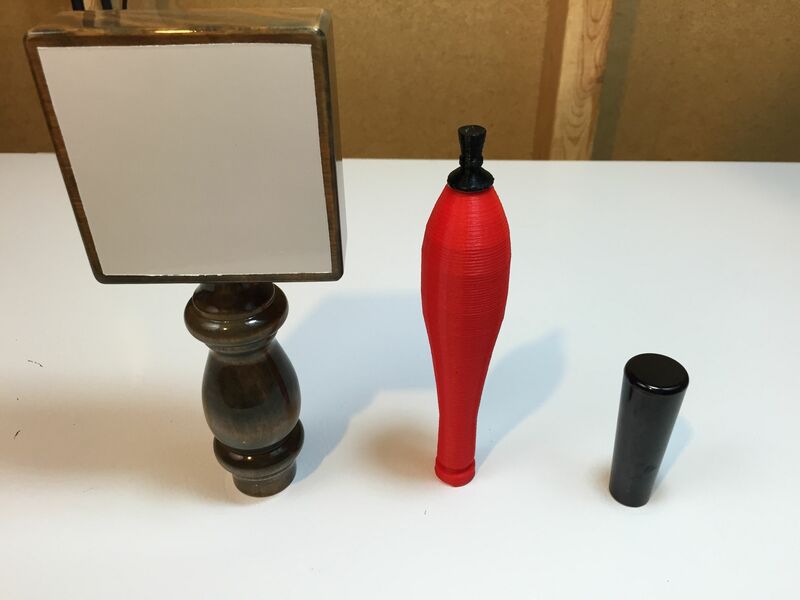 Other styles of tap handles are available on thingiverse. Of course, if you don’t find what you like you can always… make it. 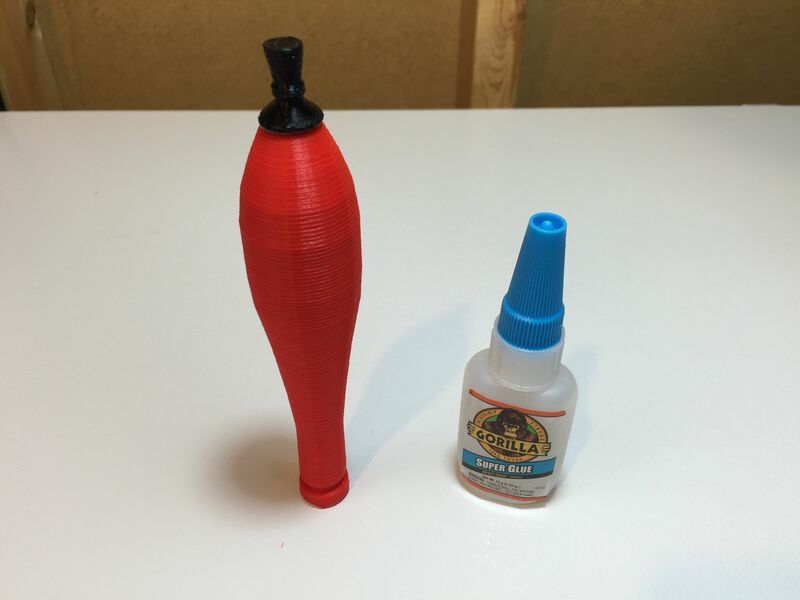 This entry was posted in Amazon, Draft, HBF Tested, Printing - 3D, Projects, Tap Handles, Tech in Homebrewing, Top Post Updates on January 15, 2015 by admin. 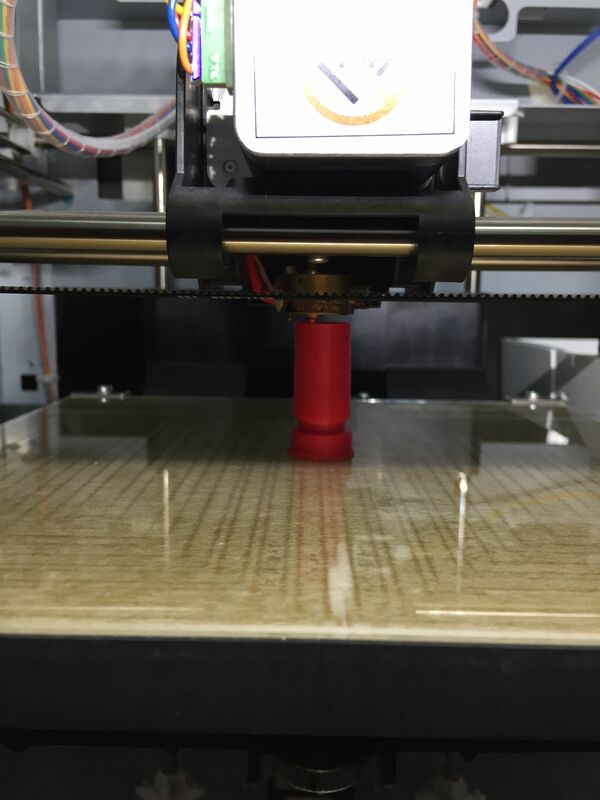 You can smooth the surface of parts printed with ABS filament by using a warm acetone vapor set up. 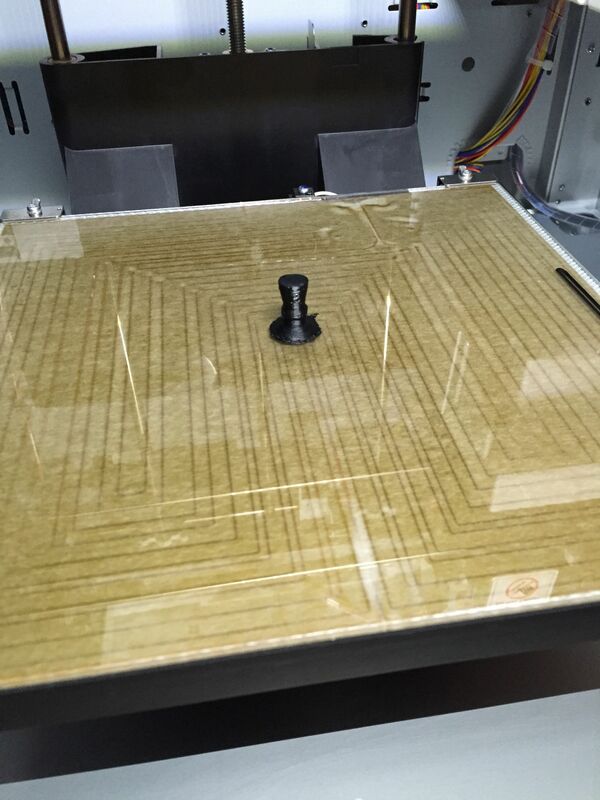 I believe the method is posted on the reprap wiki. 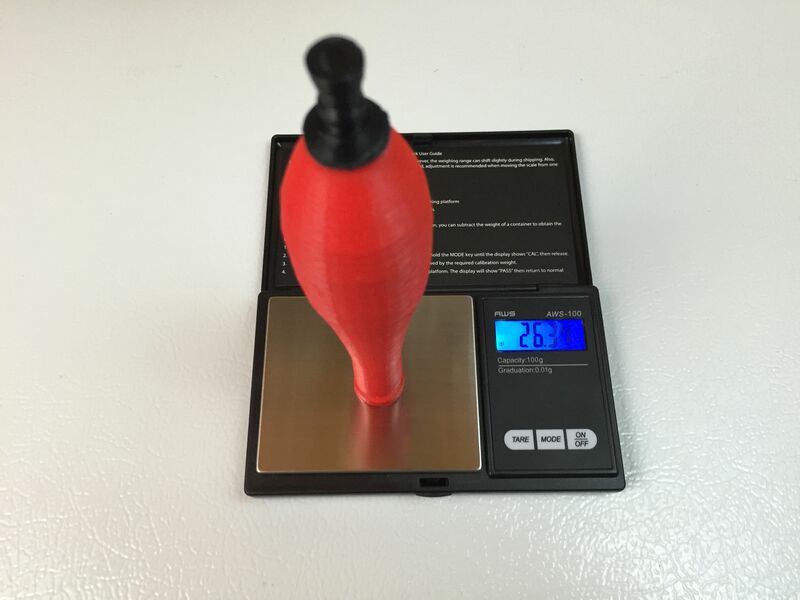 In your searches, have you come across any food grade filament? Or more specifically, beer grade? Guessing there is something out there, but I”m not sure. I will say… I don’t know that I would use this for anything that has significant contact with beer during or after fermentation. The surface on these prints is typically not perfect. I think there are just too many spots to harbor bacteria.